Welcome to Physique Summer Camp! We are excited to announce our new location for Summer 2015 at the Pine Street School located in the heart of Financial District at 25 Pine Street. The new space features an expansive multi-purpose room, state of the art kitchen and a large classroom with big windows overlooking Wall St. Entrance to the building is located at 25 Pine St between Williams and Nassau Streets. We are excited about our new space and welcome new and returning campers to our downtown camp which has served the community of New Yorkers for 7 years. Our morning round up, announcements, calisthenics & stretches will take place in our multipurpose studio before boarding the bus for our daily instructional swim to Seahorse Aquatics Center located in Lower East Side at 69 Columbia St. The pool at Seahorse features 5 lanes, 25 yards, starting blocks, 3.5 feet shallow in the shallow end and 10 feet deep in the deep end. It is the perfect pool for our beginner and advanced swimmers. Campers will take a school bus from the Pine Street school every morning to the pool and arrive back for lunch provided by InBox Your Meals. Parents do not need to pack lunch. Just drop off the kids with their swim gear. During the afternoon campers engage is sports, arts, science, music and cooking. Physique Summer Camp has been a favorite of parents and children alike. We look forward to having a great time together this summer! Please don’t hesitate to contact us with any questions, or to schedule a tour. LEARN TO SWIM, TO COOK, MAKE ART, PLAY SPORTS & JUST HAVE FUN! 8:45am Hop on school bus to Seahorse Aquatics Center at 69 Columbia St.
REGISTER BEFORE May 15, 2015 & RECEIVE AN ADDITIONAL $40 OFF FROM EACH WEEK. SIGN UP FOR MORE THAN 1 WEEK & SAVE $15 PER WEEK. DEDUCT $15 PER ADDITIONAL FAMILY MEMBER PER WEEK. TRANSPORTATION PICK UP AND DROP OFF, $250PER WEEK. FOR HALF DAY PRICING PLEASE INQUIRE BY EMAIL OR PHONE. Registration can be arranged by phone, email, mail, or fax. A camp application must be filled out for each camper. Please Email or call for additional information. A deposit of $300 per camper must be made at time of registration and balance must be paid by May 1, 2015. Any registration after May 1, should contain a full amount. For all credit card payments the balance will be assessed to the same credit card by May 1, 2015. Refund minus $40 – will be issued for any pre-camp cancellations. No refunds allowed after June 1. In order to better convenience parents, we offer the Extended Day Option. For an additional $80 per week a camp counselor will supervise your child from 7:30 – 8:30 a.m. in the morning and from 5:00pm – 6:00 p.m. in the evening. The safety and concern of children and staff in our care is the most important.All campers and staff must complete health history forms that are to be signed by a parent or guardian or physician. All of our instructors and counselors are currently Red Cross certified in Life Guarding, CPR, and First Aid. We also maintain a fully stocked Health Center for your child’s comfort and safety in the event he/she requires medical attention. Additionally, if your child has an allergy (requiring ah Epipen, or other emergency treatment), or any prescribed medication, please tell us in order to make the proper arrangements. We love it HERE and want you to feel the same. Let the summer magic of making friends, learning how to swim, play sports, do arts and science happen here . We can not wait to welcome every camper with open arms and big smiles. We nurture our staff, just like we nurture our campers. Please visit us at your convenience, just call for a personal tour. Children are invited to attend the personal tour with you. Call (212) 725-0939 to schedule an appointment. Campers plunge into Physique’s daily instructional swim program (morning), as they learn basic swim techniques and safety skills under the supervision and guidance of our Red Cross certified lifeguards and instructors. Swim takes place at Seahorse Aquatics Club, 69 Columbia St, New York, NY 10002. 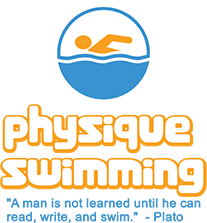 We ask parents to look at the Level Description to determine an appropriate swimming level for their child. Swim level will be adjusted as instructors see fit and as the camper progresses. As campers progress and complete each level, they will receive achievement awards weekly. The aim of our sports programs to increase campers’ athleticism and sportsmanship. Art & Crafts are Artful and Crafty HERE. Arts and crafts are thoughtfully curated by our counselors. All activities age appropriated using non toxic and non allergenic supplies. Projects often carry out the weekly camp theme. We use paint, clay, pastels, watercolor, tie dying, jewelry. Our campers have fun while creating lasting memories, reminders of good times had at Physique Summer Camp. Campers learn about different food groups through fun recipes to gain exposure to and increased acceptance of variety of fruits, vegetable and other healthful food. Children develop a sense of confidence and accomplishment as they taste their way through the cooking lessons, while learning new foods, shapes, numbers, colors, geography and social skills. Science Ninjas by critically acclaimed cartoonist Nathan Schreiber makes science fundamentals fun and fresh with the power of comics, animation and games! Weekly live science activities boost learning and engagement by adding hands on experiments and collaborative competitions. Physique Summer Camp traditionally arranges fun and memorable field trips on occasion. This summer we are looking forward to visiting Natural History Musuem, going to watch the NY Liberty WNBA game at Madison Square Garden, Liberty Science Center and more!